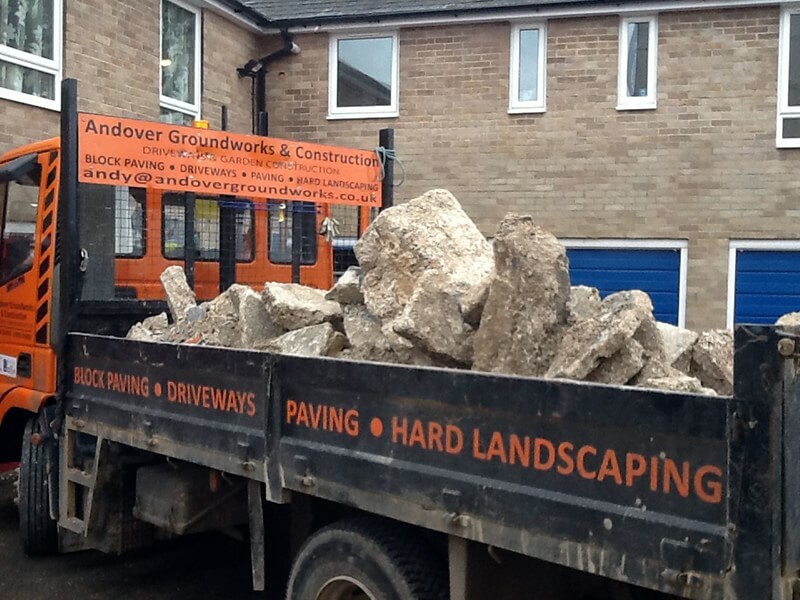 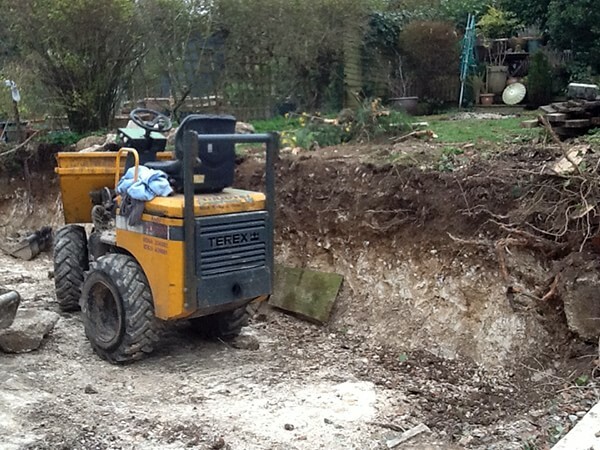 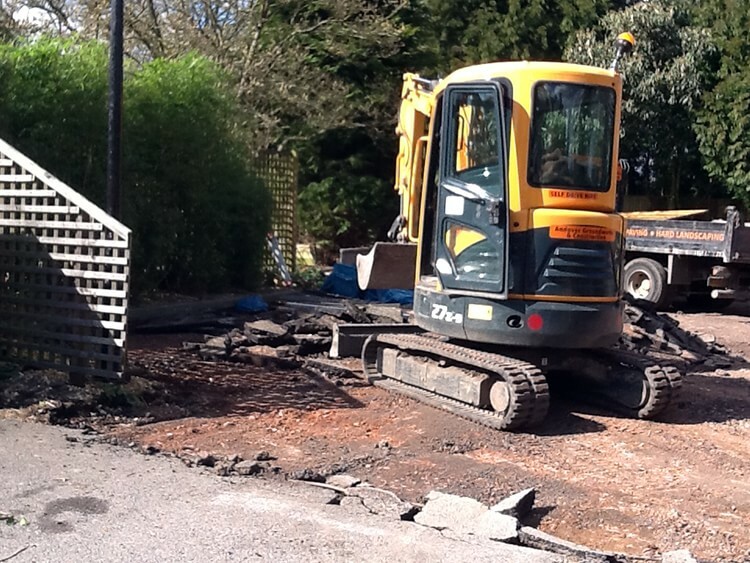 Andover Groundworks’ mini digger hire service can save you hours of back breaking work in your garden – even in the smallest space, we can usually get our machine in to dig a pond, excavate footings for an outbuilding or clear and level derelict land – all in a fraction of the time it would take to do it by hand. 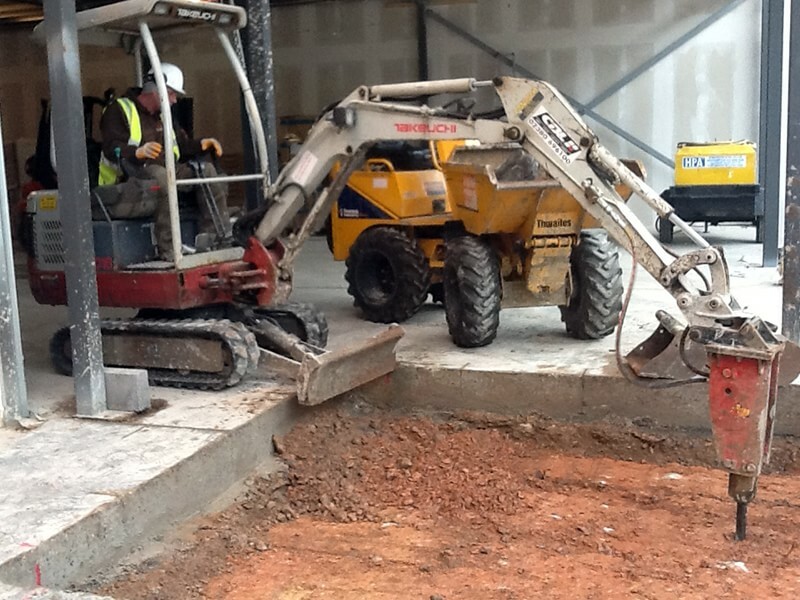 Our equipment comes with a skilled operator by the hour or at daily rates. 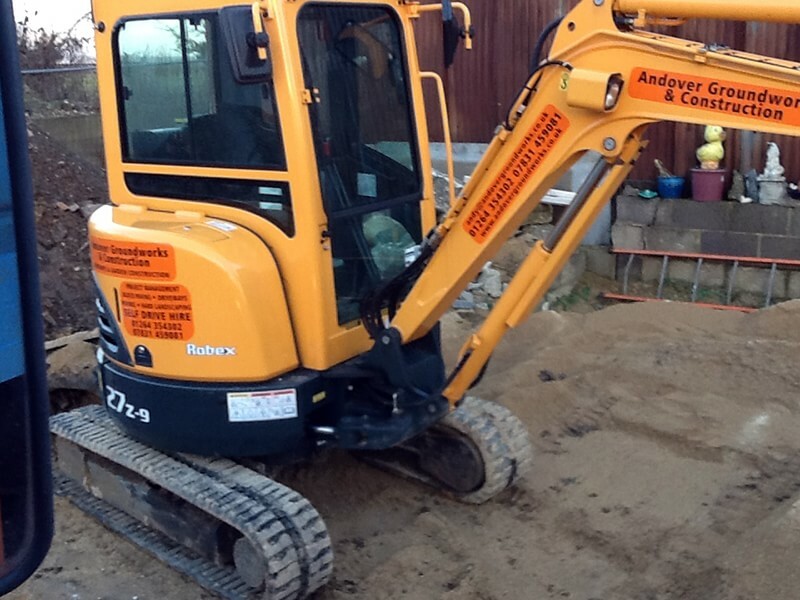 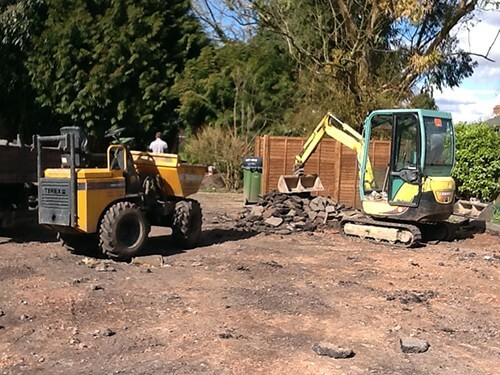 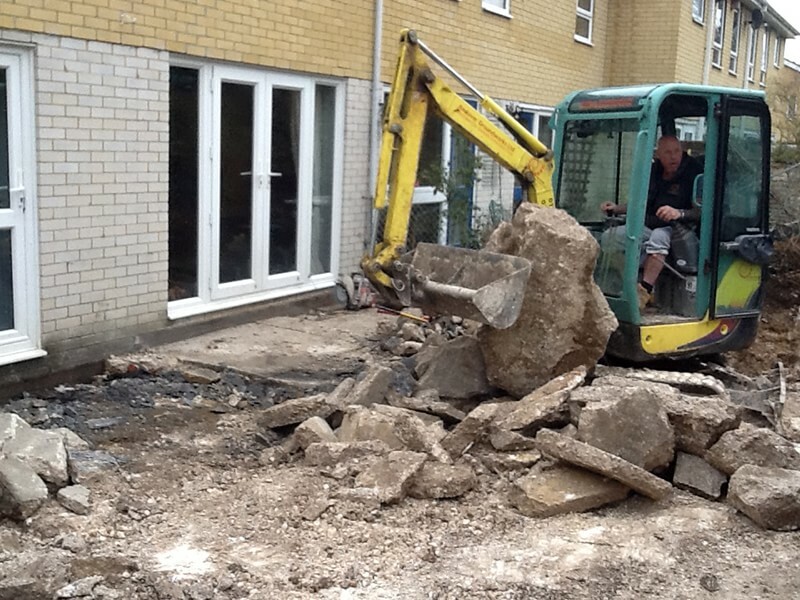 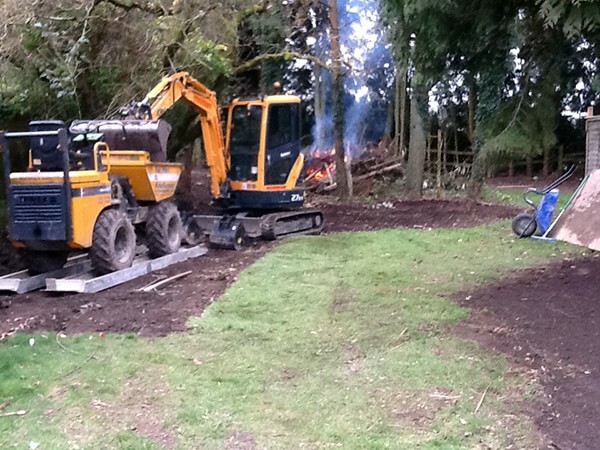 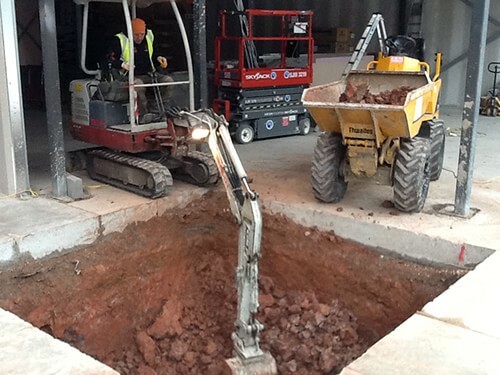 Yes, it costs a little more than renting the equipment from the local Plant Hire shop, but we can often have the job finished in the time it would take you to familiarise yourself with the controls.